Accenture Enterprise Services for Government (AESG) supports UK Government departments in transforming their back office capabilities to become more digital, more efficient and deliver better services for citizens and employees. The priority for UK government back office functions? Shift the focus from transaction processing and compliance to innovation, added value and improved service delivery. The barriers? Legacy systems, data complexity, limited budgets and scarce talent. With Accenture as their change and delivery partner, UK government departments can embark on their journey to Finance and HR cloud operations with the least risk and greatest certainty of outcome, backed by world-beating cloud capabilities, mature methodologies and proven pre-built assets. A digital platform that enables the back office to drive change across the organisation. Government departments know that they must become more cost-effective and efficient. The back office should become an enabler of services that transform the citizen and employee experience, even with ever-increasing expectations in the digital world. Cloud is the answer. The question is how to move there as quickly and safely as possible. Accenture’s proven expertise, leading governance and world class software-as-a-service capabilities give government departments the flexibility to pursue the implementation option that suits them best, at the speed they want. While new technology is critical for achieving priority business outcomes, on its own it won’t get the job done. That’s why Accenture are a true change partner to government departments. We work alongside you to understand and implement wider organisational transformation – unlocking the value of data to drive better decision-making and supporting the workforce of the future. Analytics insights: what can your data reveal? New technologies such as AI, automation and analytics are changing the art of the possible and generating whole new levels of value and agility. But only for organisations that successfully integrate them into the fabric of their operations. AESG enables our Government clients to transform their back office operations into centres of innovation by reducing the time and effort for transaction processing and compliance, so that employees can focus on solving more complex problems and delivering mission-critical support. Is your back office experience by design – or by Default? Download our point of view about the Future of Government Back Office Operations. Delivery of new ERP system to serve multiple domains, drawing on our AESG approach. A proven, low-risk, quick-to-deliver implementation of class-leading back office business processes. A bold new model for policing. WMP have an Innovation and Integration Partnership (IIP) with Accenture to realise the WMP2020 vision. Police forces must seek to transform the back office, replace legacy systems and embrace digital solutions to deliver operational excellence in front-line policing. We’re honoured that Oracle named us for 15 Excellence Awards, recognising our efforts to help our clients transform to become Intelligent Enterprises. Accenture has entered into an agreement to acquire Certus Solutions, one of the UK’s top Oracle Cloud implementation service providers, further strengthening our capabilities in delivering digital transformation on Oracle Cloud. Leon leads Accenture’s Oracle Public Sector offering team, developing solutions for transforming back office performance across central government, policing and public safety organisations and higher education. His deep solution definition and delivery experience includes leading complex multi-tower, multi-supplier business transformation engagements based on Oracle technology. Chris has nearly 20 years’ experience of public sector technology offerings, including the last five years developing Accenture Enterprise Services, incorporating Enterprise Resource Planning and Human Capital Management, across both the UK and Australia. His area of focus is business development and offering leadership for the UK region, aiming to bring the best of Accenture’s offerings to support emerging client needs. He has a passion for Software as a Service (SaaS) cloud-enabled applications, and the value innovation can bring to Central Government Departments, their employees and citizens. He has a Master’s in Business Administration (MBA) from Leeds University Business School, and a BA(Hons) Marketing from the University of Strathclyde. 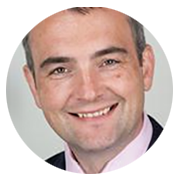 Simon is a Managing Director for Accenture's Health and Public Services practice. His focus is bringing the best of Accenture and our partners to address the strategic challenges of Public Sector clients, including cost reduction and operational improvement. Whilst at Accenture, Simon has led the successful pursuit and contract of the innovative West Midlands Police Innovation and Integration Partner deal, reducing cost and improving outcomes; was the lead on the successful DWP ADEP pursuit securing the Universal Credit opportunity for Accenture; as well as successful opportunities across the Home Office and wider Police and Justice space.